Microsoft has slashed the price of its original Surface Pro by $100. While the tablet has been largely dropped from the broader Surface product line, it’s still available on the Microsoft Store, as a new official deal clearly points out. The 64GB model will now set you back $699, the 128GB goes for $799, and the elusive 256GB flavor costs $999. We say “elusive” since we only see the first two on the Microsoft Store, but you may have better luck. 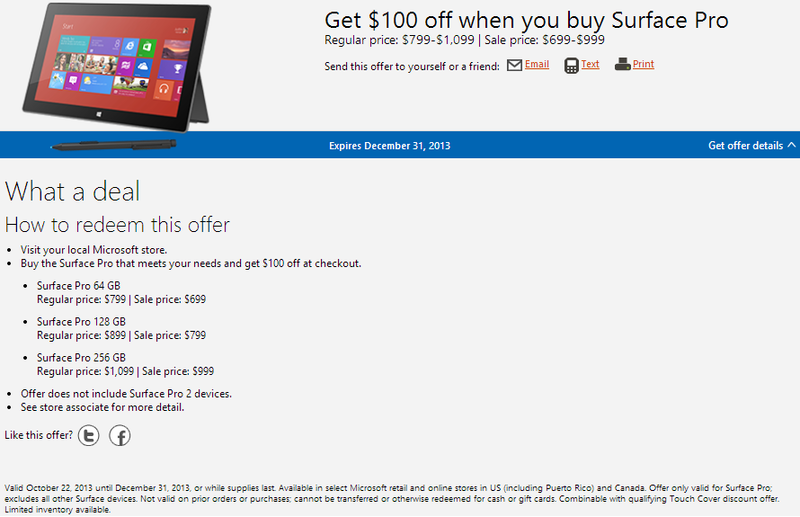 Back in August, Microsoft dropped the Surface Pro price by $100 as well. Now the company is doing it again, although if you read the fine print above, the deal only applies to the US and Canada.. In July, Microsoft dropped the Surface RT (though the company would rather you just call it Surface now) to $349 for the 32GB model and to $499 for the 64GB model. The former is still available at the same price, but the latter is now also reduced to $399. Nonetheless, Microsoft apparently still has some Surface Pro stock that it needs to clear out. Unless it fails to do so, we’re pretty sure that this is the lowest price the dated device will ever see: Microsoft wants it finished off as soon as possible. 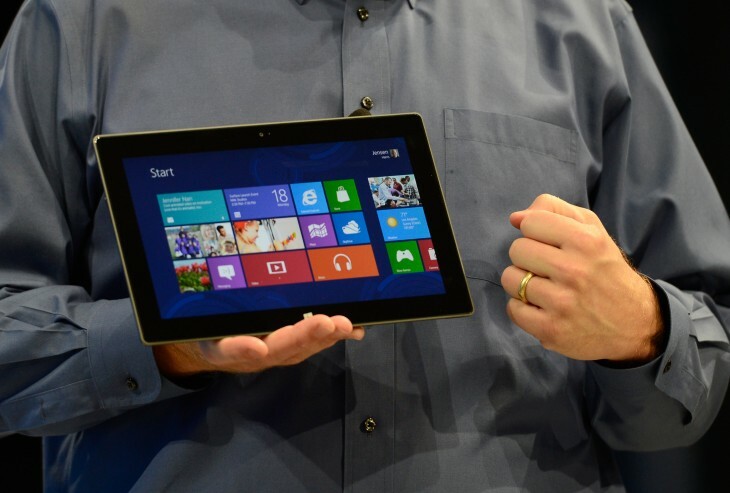 Once that’s done, it will likely discontinue the Surface and focus just on its second-generation tablets.